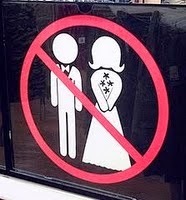 "...if a girl gets married in times like these, it is no sin. However, marriage will bring extra problems that I wish you didn't have to face right now." (1 Cor 7:28, TLB) Incredible! The truth has been well spoken. Marriage comes with troubles, yet it is not a sin. It is of utmost importance that as a woman you choose right who you agree to spend life with. Nevertheless, prepare for worldly tribulation. BONUS: Marriage is not all about walking the streets with arms around each other and hugging, kissing, it goes beyond that. Prepare yourself now, and you will definitely know who to say YES to. i agree with u totally God bless u.